Restwell aggressively administers recycling programs whether it is in the corporate office or down on the manufacturing floor. We recycle 100% of our scrap cardboard, plastic, and wood which in turn eliminates the overwhelming amount of waste which consumes our eco system. In addition, all excess foam, fabric, and fiber from our quilting machines is compressed and turned into a variety of new goods such as pillows and dog beds. The beds we produce also exemplify our commitment to the environment through the eco-friendly materials we use to manufacture them. For example, our ECOTEX® foam is derived from soy based polyols and this process minimizes the amount of petroleum used in the foam. 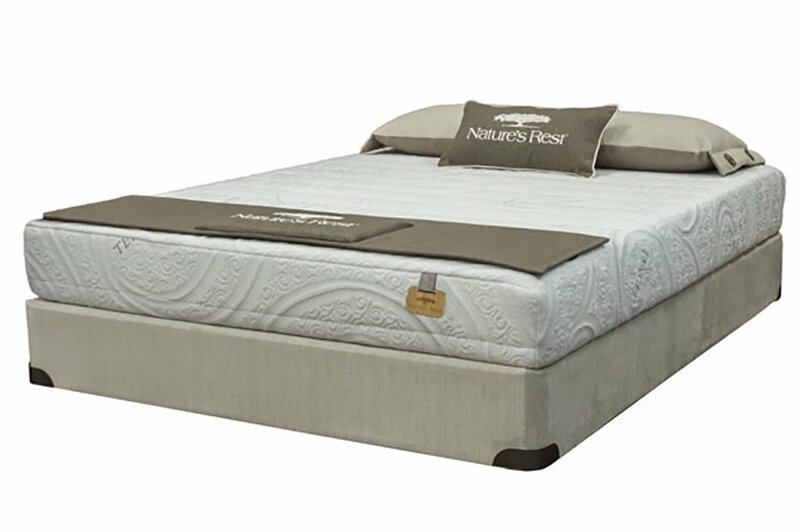 With concern for the global environment, Restwell has also created product lines to diminish impact on the environment. 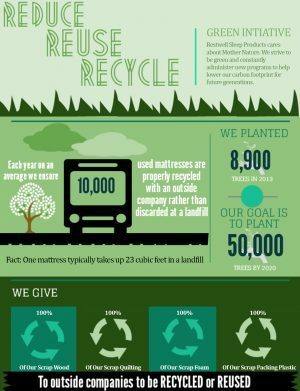 Our Novopure brand of mattresses which utilizes bamboo, cotton fabrics, and environmentally friendly foams is a perfect example of Restwell’s growing effort to be green. 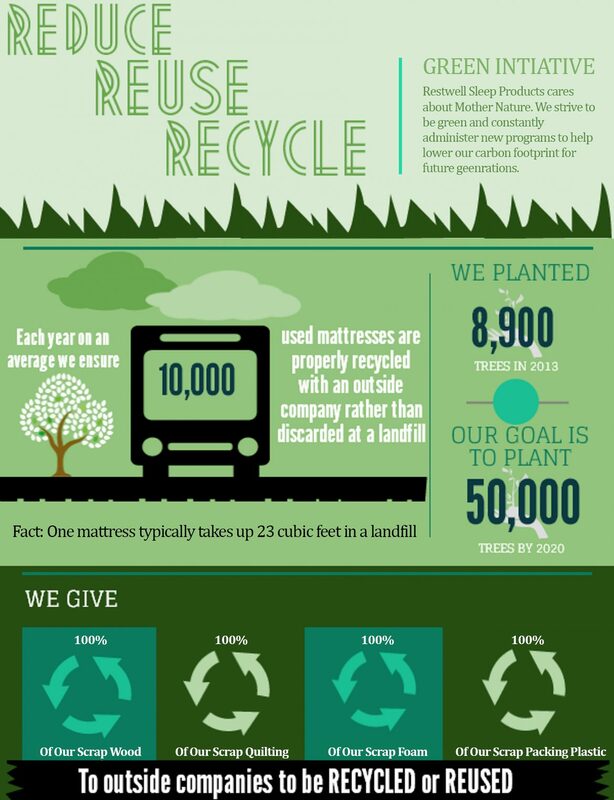 Another aspect of our mattresses which represents green initiatives is that we only manufacture all wood foundations. Restwell replenishes the wood resource that we use in our bases through our Forest For Tomorrow Program.